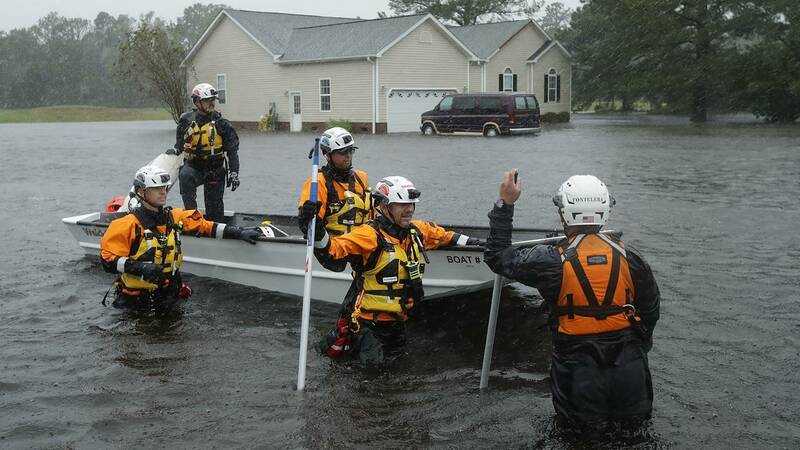 Members of the FEMA Urban Search and Rescue Task Force 4 from Oakland, California, search a flooded neighborhood for evacuees during Hurricane Florence on Friday. NEW YORK (CNN) - Most people in the path of Florence don't have flood insurance, and many won't have the money to rebuild if their homes are damaged or destroyed by the storm's onslaught of water. But most homes in the Carolinas don't have federal flood insurance coverage, which is offered by FEMA. Of the 7 million homes in the two states, only about 340,000, or 5%, are covered under the federal program.